Who cares about FM radio right? 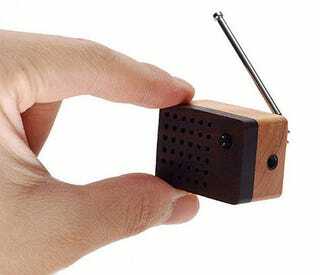 But what if the FM radio came in a wooden box that's really, really tiny? The Motz is all that and an MP3 speaker as well.